A broad class of accelerators rests on the induction principle whereby the accelerating electrical fields are generated by time-varying magnetic fluxes. 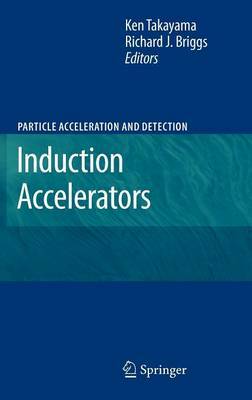 Particularly suitable for the transport of bright and high-intensity beams of electrons, protons or heavy ions in any geometry (linear or circular) the research and development of induction accelerators is a thriving subfield of accelerator physics. This text is the first comprehensive account of both the fundamentals and the state of the art about the modern conceptual design and implementation of such devices. Accordingly, the first part of the book is devoted to the essential features of and key technologies used for induction accelerators at a level suitable for postgraduate students and newcomers to the field. Subsequent chapters deal with more specialized and advanced topics.